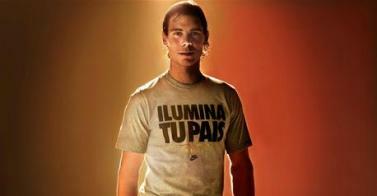 Rafa and Pau Gasol will be the models for Nike Sportswear's "Shine, light up your country" campaign. In the ad, reviewed the three main characters one by one all the achievements of our sport in this year closes the first decade of XXI century.Some of them even had lost the reputation they deserve. As Iniesta himself says at the end of the video, the motto is clear: "Work and be strong. With humility and respect. Fight against the darkness. I know the light that says we've lost. Brilla. Illuminate your country." Closing the message "work and strive" made it clear that this is the only way to succeed and move forward successfully as they have these great Spanish sportsmen. Nike continues to support his manifesto: "Shine, shine your country" reflected in the exclusive t-shirt collection 'Shine'. The objective of the brand is clear: to spread the message and spread it to people fighting spirit of the athletes. This will remain the hallmark of hits and that makes us leading up to the next Olympics in 2012.